We think the mid-range, 60-kWh version of the 2012 Tesla Model S may hit the sweet spot in the market, with a likely 200 real-world miles of range and the ability to specify fast charging as well. The 2012 Tesla Model S sedan turns out to be a much better car than most expected; it just might meld sport-sedan driving, interior space, and comfort with zero-emission running in one revolutionary package. The 2012 Tesla Model S all-electric sport sedan went into production in June of 2012 as the first "mass-produced electric vehicle" from Silicon Valley startup Tesla Motors. In 2008, that company shocked the car market with the launch of its all-electric two-seat Roadster sports car--which embarrassed supercars costing twice as much with its swift, silent acceleration. The Model S is billed as a mid-size four-door sedan, but in fact it's a five-door hatchback, with a pair of optional rear-facing jump seats in the load bay that offer nominal seven-passenger capacity. To be fair, those seats are suitable only for small children--and their occupants may chafe at the four-point safety harnesses they'll have to wear--but short of large crossover utility vehicles, no other sedan this size even tries to hold seven occupants. We're skeptical about the safety implications, though. The battery pack is housed in the floorpan of the Model S, both lowering its center of gravity and freeing up the front compartment, which contains a storage compartment that Tesla Motors [NSDQ:TSLA] insists on calling a "frunk," for front trunk. Filled with thousands of commodity lithium-ion cells provided by Tesla investor Panasonic, the liquid-cooled battery powers a 270-kilowatt (362-hp) electric motor driving the rear wheels. Both the drive motor and some electric components are liquid-cooled as well, meaning that Tesla can "thermally condition" or control the temperature of its electric components for better energy retention and more predictable performance. The 2012 Model S Performance model, with a more powerful 301-kW (416-hp) motor, sprints from 0 to 60 mph in less than 5 seconds; the standard versions reaching the same speed in 6 at 7 seconds. Handling is flat, due to the low center of gravity, and while the ride is firm over small road-surface imperfections, it's remarkably good over larger bumps, dips, and potholes. Styling is sleek and reminds many onlookers of the recent Jaguar XF and XJ. That's not a bad thing for an unknown brand entering the luxury field. And the interior, while relatively simple, is comfortable and well-made, in a straightforward way. The dashboard is dominated by the 17-inch touchscreen display, whose graphics, response speed, and simple size put any other car's touchscreen interface to shame. We worry somewhat about the distraction inherent in relegating all minor controls to that interface, but the size of the icons and fonts and its responsiveness make it as good a system as we've seen. Tesla offers a choice of three battery packs--40, 60, and 85 kilowatt-hours--corresponding to stated ranges of 160, 230, and 300 miles. 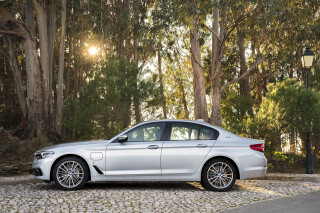 The EPA has rated the highest-range version at 265 miles, though like all electric cars, your range will vary considerably with driving style, speed, acceleration, temperature, and other factors. Battery recharging through a Tesla-specific charging station (and connector) takes place at 10 or 20 kilowatts, up to three times as fast as most plug-in cars, and Tesla plans to launch a "Supercharger" network of fast-charging stations at luxury destinations between city pairs--making intercity travel possible in a zero-emission electric car. If the Model S has a drawback, it's that it's light on electronic equipment and safety systems for the luxury class in which it competes. 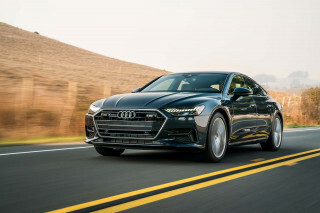 That may not matter to early adopters, but we think the universally available adaptive cruise control found on German mid-size luxury and sport sedans is something Tesla would be well-advised to add. 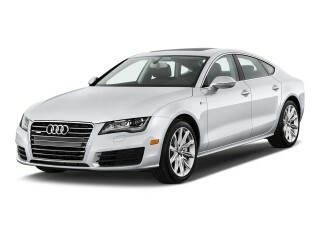 The 2012 Model S is priced at $57,400 to $87,400 before incentives and options, depending on the version selected. Options can push the price of the top-end models toward $100,000, but operating costs on grid power are customarily just a fraction of those for its gasoline-powered competitors. And the Model S qualifies for a $7,500 Federal income-tax credit and various state, local, and corporate incentives as well. The 2012 Tesla Model S may just be the first electric car that's simultaneously good-looking, fully digital in the best tradition of Silicon Valley innovation, and requires very little compromise for around-town use. Assuming no major quality or safety glitches--and it's early days yet--the major worries for buyers are most likely battery-pack life ... and the lifespan and prospects of a startup car company as whole. The 2012 Tesla Model S has elegant, sleek, and timeless lines, with a functional interior and jaw-dropping touchscreen display. The 2012 Tesla Model S is a sleek, fastback five-door hatchback with what chief designer Franz Holzhausen terms “classic modernity” in its lines. 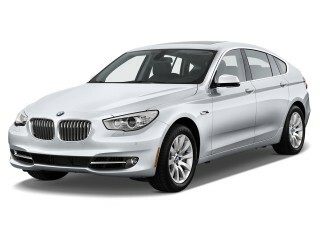 We agree; the electric sedan gives up nothing in style to the most elegant luxury sedans with which it competes. In fact, "Jaguar" was the name most often suggested by onlookers who know the Model S was a stylish and expensive car, but have no idea what a "Tesla" actually was. That's a compliment, too, given the well-received new styling direction pioneered by the mid-size XF sedan and followed by the full-size XJ sedan. The roof of the Model S is comprised of two large sunroofs back to back, made almost entirely of smoke-tinted glass. The analog facsimile gauges in the cluster behind the steering wheel are bright and clear, even in bright light filtering through those glass roof panels. The interior is dominated by a 17-inch vertical touchscreen display that sits atop the center console, which operates most of the secondary functions: climate control, audio, navigation, and some vehicle settings like suspension tuning and charging behavior. But once you're past the wow factor of the central touchscreen, the 2012 Tesla Model S offers a relatively plain and unadorned interior. The interior is muted, with available leather seats and adequately high-quality soft-touch plastics where occupants are likely to come into contact with them. Tesla offers a handful of color choices, including black, white, brown, and our favorite, the striking deep red offered only on the first 1,000 Signature Series cars. The 2012 Tesla Model S accelerates fast, remains quiet, and offers three different battery sizes for a choice of real-world ranges. 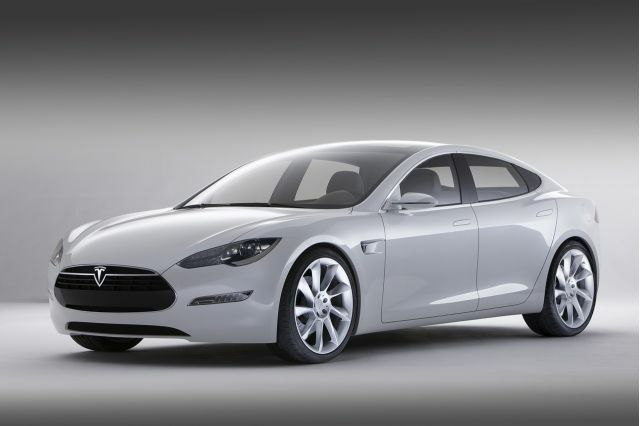 The 2012 Tesla Model S drives like a real car: a quiet, fast, and comfortable luxury sedan. Plenty of cars do that, of course, but this is the first car from a startup automaker--one that didn't exist eight years ago--to deliver a car this professional. There are essentially four different models of Model S, with three battery pack sizes--which translate directly to range--and then a Performance option that can be ordered only with the largest battery pack. The first cars all come with the largest pack, of 85 kilowatt-hours; the two lesser models, with 60-kWh and 40-kWh packs will follow a few months later. Those three battery sizes were equated by Tesla to ranges of 300, 230, and 160 miles respectively. 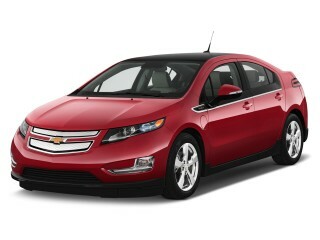 Thus far, the EPA has rated only the largest 85-kWh pack, which it says has a range of 265 miles. As always, the real-world range will vary considerably depending on how aggressively it's driven, at what speeds, the temperature outside, and other factors as well. The 2012 Tesla Model S battery pack forms the floorpan of its all-new design, with a 270-kW (362-hp) motor powering the rear wheels. The high-end Performance model has a more powerful 301-kW (416-hp) motor. There's no transmission; the rear-mounted motor sends it torques directly into a reduction gear that powers the differential. The top speed is restricted to 130 mph. We drove the Performance model, which is fitted with not only the more powerful motor but also higher-spec power electronics and other modifications. It delivers a 4.4-second 0-to-60-mph time, according to Tesla, whiel the standard Model S is quoted at 5.6 seconds. Like all electric cars, with maximum torque developed from 0 rpm, the Model S will surge swiftly away from stoplights. It's almost too easy to hit 50 or 60 mph on city streets because the car's rear-mounted powertrain is so smooth and quiet. Tesla keeps Model S weight under control by using aluminum for almost every part of the body and structure. 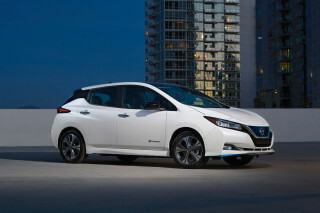 The 85-kWh Performance model weighs about 4,700 pounds, with lesser-equipped models a bit lighter. Still, from behind the wheel, the Model S felt heavier than we expected--closer to a Mercedes-Benz S Class, say, than the smaller E Class with which it nominally competes. Tesla says the car has its weight distributed at 45 percent front, 55 percent rear, and certainly the car cornered impressively and neutrally in our short time behind the wheel--helped by the very low center of gravity produced by the heavy battery pack being the lowest point of the car. The air suspension on its standard setting transmitted small road imperfections into the car more than we'd expected, but the Model S rode superbly over the bad stuff, including uneven, potholed, and cobblestone streets. The suspension can be set from even firmer to a setting that one Tesla minder candidly described as "mushy." Of course, keeping your foot in the Tesla Model S and using the addictive acceleration will do a lot of damage to your range. Experienced Tesla Roadster owners say it can take up to six months before they stop driving that way--knowing that the sheer acceleration is on tap when wanted. One display shows both a maximum potential range and a predicted range based on the last 30 miles of driving. Those can differ considerably--we saw 290 miles versus 165 miles--after using that acceleration. 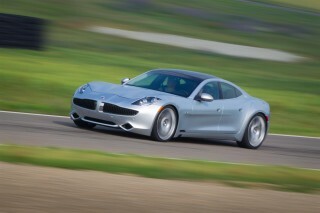 Owners will have to learn to trade off the sheer fun of acceleration for longer range. The Model S offers two settings for regenerative braking--Normal and Low--and the (highest) Normal setting felt less aggressive than in the Roadster. That may be appropriate for a higher-volume car, but the Model S offers less opportunity for the "one-pedal driving" prized by experienced electric-car drivers who plan ahead enough to use solely regenerative braking to slow down almost to a stop. There's currently no idle-creep in the Model S, to simulate the behavior of an automatic transmission, but Tesla says it plans to add the feature soon as a user-selectable option. The 2012 Tesla Model S is comfortable, capacious, and seemingly well built, though we're skeptical of the 7-seat claim. Tesla bills the Model S as a seven-passenger vehicle. We contest the seven-passenger claim—those seats are suitable only for children of age eight or so--and their occupants may chafe at the four-point safety harnesses they'll have to wear. Still, no other sedan this size even tries to hold seven occupants. That's been the province of large crossover utility vehicles (Tesla's planning to offer one of those, too). But the hatchback convenience and large size deliver lots of comfort and significant cargo capacity for families, with massively lower operating costs than equivalent-sized gasoline vehicles. Inside the Model S, the cabin is wide, and five adults should be able to travel in comfort. The driving position is good, the front seats are supportive, and most controls are well-placed. Rear-seat passengers will find the door openings smaller than they look, and the windows slope inward as they rise toward the roof rail. That makes access to the rear seat more challenging than expected, though it's comfortable enough once you're inside. The outboard rear passengers are likely to notice that that the cabin is wider at shoulder height than at head level and the rear seat back is angled a bit more steeply than customary. And if the Model S has the panoramic sunroof, a six-foot person in the rear seat comes within a fraction of an inch of the headliner. But most adults should be comfortable riding in the rear over long distances. The 2012 Tesla Model S has a slightly different seating position than every other luxury sedan, since it's the only one with its battery pack in the floorpan. That makes its front and rear foot wells shallower than in cars without 5 inches of battery beneath passenger's feet. Rear passengers especially sit in a more reclined, knees-up position than in competing sedans from Audi, BMW, Jaguar, or Mercedes-Benz. It's not necessarily uncomfortable, but it is noticeable. On the road, though, the Model S is so calm and quiet that there's essentially no mechanical noise on acceleration. Only once, on full acceleration from 0 to a high number, did we hear a high-pitched humming whine--presumably from the power electronics. Tire noise is obvious with the stereo off, and then wind noise kicks in above 40 mph or so. There are a few quirks behind the wheel. Tesla has used column stalks from Mercedes-Benz (which owns part of the company), with both an upper cruise control and a lower turn signal, meaning that Model S drivers will try to signal with the cruise lever until they retrain themselves. Mercedes-Benz owners will be very familiar with that problem. The wheel has a tilting and telescoping adjustment, and to the right of the column, a drive selector offers simply D, R, and P. Tesla uses an automatic electric parking brake, but it activates automatically in Park when the car senses that the driver is getting out. Total interior volume of the Model S is rated at 95.1 cubic feet. There's 26.3 cubic feet of cargo space in the rear load bay with the rear seat up, and a total of 58.1 cubic feet with the seat folded down. There's also an additional 5.3 cubic feet in the surprisingly large front trunk, which Tesla insists on calling a "frunk." It's worth comparing that total cargo space to the absurdly tiny 6.9-cubic-foot trunk of the similarly large-on-the-outside Fisker Karma, which is so small inside that the EPA rates it as a subcompact. Early Model S cars we've seen appear to be well built, and Tesla is ramping up its assembly rate slowly to ensure that its plant and workers maintain high quality as they move into volume production. On a car within the first 125 units, about all we noticed were a recalcitrant rear seat-belt retractor and a misaligned Velcro patch on the front-trunk liner--both fixable issues. The 2012 Tesla Model S has the usual complement of airbags and safety systems, but has not been crash-tested. The 2012 Tesla Model S hasn't yet been crash-tested by either the National Highway Traffic Safety Administration (NHTSA) or the Insurance Institute for Highway Safety (IIHS). Given the low production volumes in its first year or so, it may be a while before that happens. One concern expressed by many is the optional rear-facing sixth and seventh seats, which hold only small children and come with racing-style four-point safety harnesses. Their location in the rear cargo bay--close to the rear bumper, tailgate, and roof--may make rear-impact protection a particular challenge, but we'll have to wait and see. Outward visibility from the Model S driver's seat is good to the front and sides, but the steeply angled rear window glass offers little more than a slit in the rear-view mirror. The Model S comes with eight airbags, and the usual suite of expected electronic safety systems, including traction control, anti-lock brakes, and the newly mandatory tire-pressure monitoring system. It does not, however offer adaptive cruise control, lane-departure warning or correction, or crash-avoidance braking systems. Once you're past the amazing touchscreen display, the 2012 Tesla Model S is short on luxury features like adaptive cruise control. The company's Silicon Valley roots show through in a high "surprise and delight" quotient for users, especially the driver. Switch on a turn signal, and you'll see it flashing brightly on a photo-realistic image of your car on the Lights screen. Ditto the parking lamps, headlights, and so on. Want to open the sunroof? Just swipe your finger along a plan view of the Model S, toward the rear. Or you can use a large slider to open it to any percentage you want. Most of the car's minor controls are operated through the central touchscreen, demanding that the driver look away from the road--although the size of the screen allows really large fonts and control icons. Its response speed also means that they react instantaneously. Together, those factors help reduce distraction compared to almost any other car with a similar system. Initially-skeptical drivers who questioned the practicality and distraction factor of such a large display controlling most functions may become converts. Its brilliant graphics, easy-to-learn control screens, and lightning-fast response relegate any other car's system to second-class status. BMW's notorious iDrive, the Mercedes-Benz COMAND system, the mass-market MyFord Touch--all of them are instantly outdated and primitive. Portable storage devices connect to play digital music through the Model S audio system, though web apps like Pandora, Spotify, and Switcher aren't yet implemented (but they're coming, Tesla says). Voice commands haven't yet been activated either, and would clearly help to reduce any distraction factor. One of the most startling features of the Model S display is full web browsing, via the built-in cellular connection. We're not sure how long that will continue--the Feds may be tempted to weigh in--and we hope drivers never do it unless the car is parked. That said, it's wicked cool. That's the good news. But the Tesla Model S is remarkably short on the kinds of power, safety, and convenience accessories offered by competing gasoline luxury cars. There are no memory settings, no adaptive cruise control, no lane-departure warning or correction, no proximity sensors, and no automatic braking in case of a crash. Whether those are important to Model S buyers remains to be seen, and most of them would clearly sap at least some energy from the car's primary mission: moving its passengers the maximum distance possible. Tesla has also said it's listening closely to its earliest buyers, and making a number of minor changes and updates to cars based on that feedback. The addition of user-selectable idle creep, for instance, was one. Finally, every Model S is equipped with a 10-kilowatt onboard charger, and cars with the 60-kWh and 85-kWh battery packs can accommodate a second 10-kW charger as well. Standard charging time for the smallest 40-kWh battery pack from a 240-Volt household outlet is about four hours, assuming the circuit is suitably strong. The Model S does not, however, use the same J-1772 charging socket as every other plug-in car sold today. Instead, Tesla designed its own, unique plug and socket that integrate regular and fast recharging into the same plug. The company sensibly provides a J-1772 adaptor cable with every Model S, so that owners can recharge at standard public and private charging stations. The company plans to launch a so-called Supercharger network of fast charging stations--which would refill up to 80 percent of even the largest battery pack in less than an hour. These are to be located at luxury destinations between city pairs, meaning owners of the longer-range Model S versions could in fact drive their electric car from San Francisco to Los Angeles, with one or two stops of less than an hour--for dinner, perhaps. 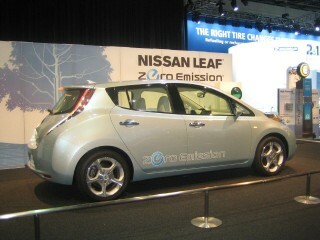 Tesla Motors [NSDQ:TSLA] will reveal more details of the network in late 2012. The four versions of the 2012 Tesla Model S are priced as follows: A 40-kWh battery version costs $57,400 before incentives, the 60-kWh version $67,400; the 85-kWh version $77,400; and the 85-kWh Performance option runs $87,400. With options, total cost of high-end versions can approach $100,000. The first 1,000 Model S cars to be built are known as the Signature Series, in a special red paint colors that won't be offered again, and with each car individually numbered. Options include the giant panoramic glass sunroof, for $1,500, and no-cost Michelin Pilot Sport PS2 tires on 21-in alloy wheels. The Model S qualifies for a $7,500 Federal income-tax credit for buying a plug-in vehicle, and buyers also receive a $2,500 California purchase rebate. It will also qualify for the coveted "white sticker" that allows electric cars to travel in California's High-Occupancy Vehicle (HOV) lanes with only a single occupant. Tesla CEO Elon Musk stresses that total operating costs--especially for future buyers who lease a Model S, under a program that hasn't yet been announced--will be no higher than those of a large U.S. sedan with the $35,000 Ford Taurus. The comparison is based on $4-per-gallon gasoline, though local electric rates play a major role in that comparison, since they can vary from 3 cents to 25 cents per kilowatt-hour. 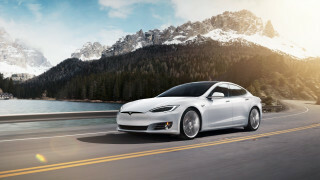 The 2012 Tesla Model S is the longest-range electric car sold in the U.S. In fact, all three versions are. Only a handful of battery-electric cars are sold in the U.S., and none is nearly so audacious as the 2012 Tesla Model S. Starting with a clean sheet of paper, the Silicon Valley automaker created an all-electric platform that will hold not only a mid-size sport sedan but also an all-wheel drive sport-utility vehicle (the Model X) to be launched next year. The option of three different ranges, corresponding to different battery pack sizes, is something no other maker offers. The Performance version of the high-end Model S is stunningly quick, and all but silent while accelerating. And best of all, the EPA rates the 85-kWh Model S at 89 MPGe, or "miles per gallon equivalent," a measure of the distance a car can travel electrically on the same amount of battery energy as is contained in 1 gallon of gasoline. That Model S figure is not as high as those of the Nissan Leaf (99 MPGe) or Ford Focus Electric (105 MPGe), but it's impressive for a much larger, faster, and heavier five-seat vehicle. As with all zero-emission battery electric vehicles, we give the 2012 Tesla Model S our highest rating of 10 on the Green scale. If U would drive it and afford it, U wouldn't drive anything else! All cars someday will be like Teslas. I have driven this car more than any car that I have owned. It is practical for just about everything and fun to drive. Best car I have ever owned driven! I love the performance and comfort of the Tesla S, P85. I have been on a number of long road trips with it using the SuperCharges and other available charging stations. Trips only require a bit of advance... I love the performance and comfort of the Tesla S, P85. No Better Car on the Road!